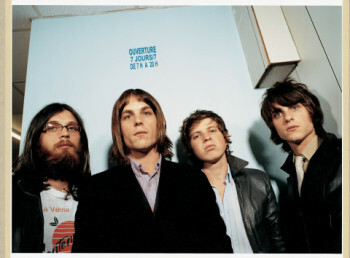 Kings of Leon’s new record, “BECAUSE OF THE TIMES,” has debuted at #25 on the Billboard Top 200, selling 41,919. This is the band’s biggest one-week of sales in America to date, and doubles their prior best week. Kings of Leon mania has also spread to other parts of the world, debuting at #1 in the UK and New Zealand, #3 in Ireland and #4 in Australia. Currently touring in England, the band is about to kick off their American dates at the end of the month after performing on “The Tonight Show” and at the Coachella Festival. They will be performing on “Late Night with Conan O’Brien” on June 4.